Here is the information for the 2015 Fall mini sessions. I will have spots open for morning sessions and evening sessions. Spaces are limited so please contact me soon. 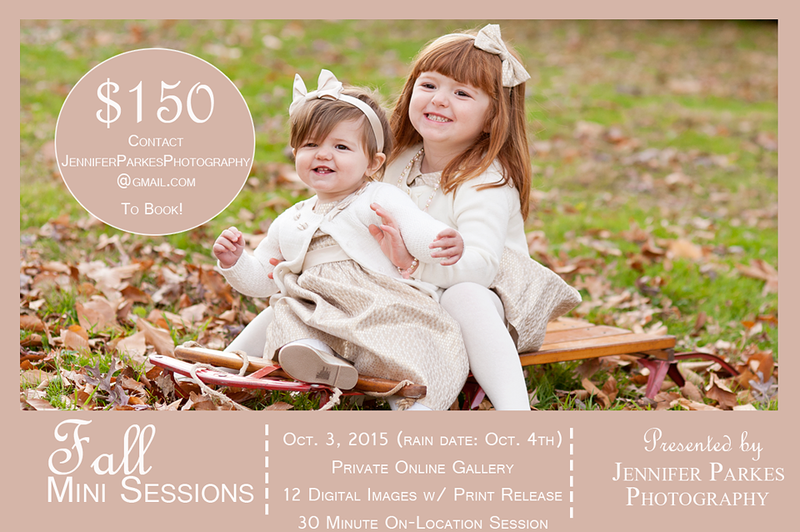 This will be the only mini session offered in October. I may open another Fall Mini session in early November if a have enough inquiries for it.